1.1 Million lightweight CMU Fulton State hospital replacement in Central Missouri was originally designed as precast concrete panels, but was converted to use about 1.1 million lightweight concrete masonry units because of its versatility in accommodating the slopes, curves and various roof levels of the design. the original hospital was built in the 1850s, so selection of materials and systems for the new facilities with long life cycles was paramount. the masonry wall system also contributes to the safety and security required for patients and staff in this type of psychiatric facility. integrally pigmented and ground face units provide a distinctive and attractive design expression. The 100th anniversary of NCMA coincides with the 100th anniversary of expanded shale, clay and slate lightweight aggregate, a key ingredient for producing high quality lightweight concrete masonry units. In fact, the original US patent on the rotary kiln process for manufacturing Haydite expanded shale clay and slate (ESCS) was awarded to Stephen Hayde on February 18, 1918. Here’s a brief look back at thefather of lightweight aggregate and the material he invented. The son of Irish immigrants, Stephen J Hayde, was born in 1861 in Keokuk, Iowa. Growing up in Kansas City, he worked with his father repairing buildings and bridges. After spending a few years in San Francisco, Hayde returned home where he became well known as a brick maker and building contractor. Brick making at that time used down-draft bee-hive kilns. Because the temperature varied greatly within the kiln, the process became creative. After each batch of brick was fired, brick were hand-sorted into three categories. Highest quality brick were placed in the exterior brick inventory capable of resisting rain penetration and the effects of freezing and thawing. The next level of quality was designated interior brick. The third category was bloaters, brick that had been heated too rapidly for the gases generated within the clay to dissipate, causing them to expand by more than a third of their original size. Brick made from certain clay deposits retained this expanded shape upon cooling. Bloaters were typically placed in a scrap pile. On closer inspection, Hayde observed that the internal structure of the scrap brick was essentially non-interconnected voids surrounded by a hard, impermeable ceramic matrix. He had the insight to realize the potential value of the waste brick if it could be crushed, graded and used as a concrete aggregate. The resulting concrete had a lower density than typical concrete, but retained its strength. He was so sure of the virtues of his new material that on January 29, 1914 he engaged a patent attorney, even as he continued to experiment with different ways to bloat the clay. Later that year, his experiments at the Ocean Shore Iron Works in San Francisco proved that the resulting aggregate had no planes of weakness, even when the raw material was laminated shale or slate. After returning from San Francisco, Hayde managed the Flannigan-Zeller Brick Company in Kansas City, where he had access to brick kilns and rejects from the brick making process which he could crush into aggregate suitable for doing research on low density concrete. He experimented with placing balls of clay in different locations in the brick kilns, with the aim of identifying the correct time/ temperature relationship to produce aggregates that could be used to produce optimum properties in concrete. In 1917, his tests showed that a rotary kiln could be used to economically produce expanded shale, clay and slate in large quantities with properties that are identical to those being produced today. US Patent No 11,255,878 was issued to Stephen Hayde on February 18, 1918 and remained in effect until 1947. The patent covered argillaceous material and specifically mentioned special clay, slate and shale rock. It specified that the product must be heated to a temperature of 1220°C for about two hours. Near the end of World War I, Hayde allowed the federal government to use his patent to develop lightweight concrete for ship building to overcome the shortage of steel available for the war effort. The first ship constructed using Haydite produced in a rotary kiln was the USS Selma. PRODUCTIVITY - During construction, lightweight units are user-friendly. With lightweight units, masons are able to maintain their productivity throughout the Fulton Hospital project, reducing fatigue and the installed wall cost by lowering the labor factor. Though the CMU are produced nearly 100 miles away, more units are able to be carried per truckload because they weigh less, minimizing transport trips and costs and maintaining the tight schedule requirements. 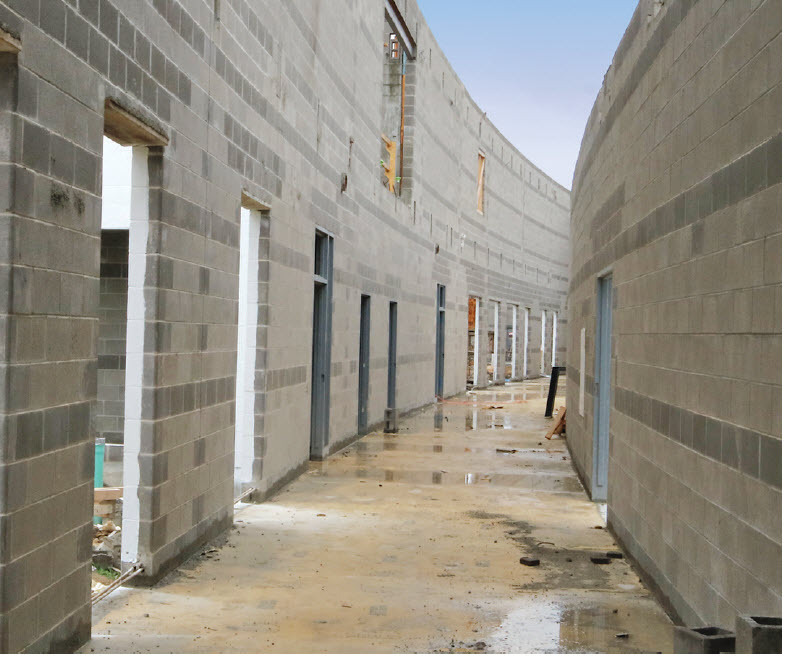 INHERENT resiliency, fire safety and energy efficiency also make loadbearing CMU an attractive choice for the exterior perimeter of Fulton hospital as well as partition walls and corridors. its ability to withstand high winds keeps patients safe in case of storms and tornadoes without having to be evacuated to other shelters. CMU does not burn, so potential fires would remain compartmentalized, mitigating spread and accommodating egress. the higher thermal R-value lightweight CMU backup combined with architectural CMU veneer and insulation creates a cavity wall system that easily meets energy code requirements. All this extra performance at no extra cost. After the war, Haydite aggregate began to be used in lightweight concrete for buildings and bridges. The lightweight concrete ship building story repeated during World War II, with dozens of ships built. When the patent expired in 1947, the lightweight aggregate industry expanded rapidly, growing to more than 60 plants across north America. In 1952, the Expanded Shale Clay and Slate Institute (ESCSI) was formed under the auspices of the Portland Cement Association. It has been an important partner of the National Concrete Masonry Association (NCMA) in promoting the fire safety and other benefits of concrete masonry. Dan F Servey of Kansas City is credited with introducing the first concrete masonry unit made with expanded shale lightweight aggregate in 1923. Lightweight aggregate quickly gained popularity among both block manufacturers and mason contractors. Block manufacturers found that the lightweight aggregate produced a block that would be readily specified by architects and engineers. From a practical point of view, the weight of the units was approximately one third less than the units made with ordinary aggregate, so that transportation costs to the job site were drastically reduced. Contractors favor them because the lighter weight enables greater productivity of crews, with fewer injuries. Masons find lightweight units much less tiring to work with. In an average day, they might lift 4,000 pounds less than they would with heavier units. 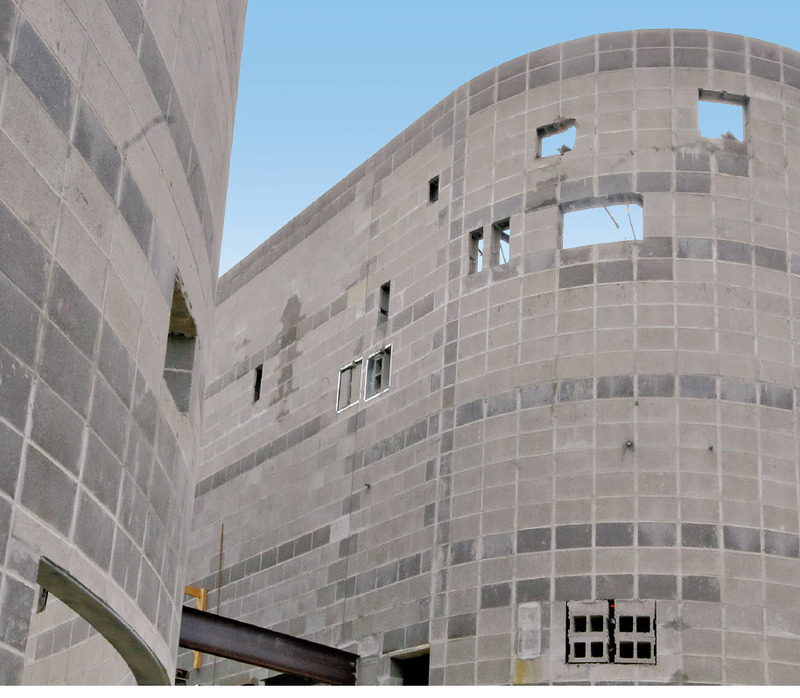 Lightweight concrete masonry units can be found in every type of building – from farm buildings to homes, commercial and industrial structures, schools, theaters, multi-story buildings, warehouses, recreation buildings and churches. The choice of lightweight concrete masonry is often driven by its increased fire resistance, but there are many other advantages to using lightweight units. Productivity advantages mentioned above mean lower installed wall costs. Increased productivity doesn’t come from speeding up the mason; rather, the lightweight units enable the mason to maintain his or her normal pace throughout the day, every day until project completion. In the end, more units have been placed in less time. At the same time, less fatigue and fewer injuries mean a sustainable workforce and lower workers’ compensation insurance ratings. The same thermal properties that give lightweight units their fire resistance also make them more energy efficient. With energy codes becoming more stringent, this is an important issue for building owners, as well as the concrete masonry industry itself. The combination of lightweight concrete with thinner face shells and smaller and fewer webs now permitted by ASTM C90, Specification for Loadbearing Concrete Masonry Units, makes integral insulation for concrete masonry walls much more efficient, resulting in high R-values that couldn’t be achieved just a few years ago. As NCMA celebrates its 100th anniversary, the producers of expanded shale, clay and slate lightweight aggregate also celebrate the accomplishments of Stephen Hayde, the father of lightweight aggregate and the de facto godfather of lightweight concrete masonry. Jeff Speck, PE, FASTM, FACI, is general manager sales for Arcosa Lightweight, a manufacturer of rotary kiln lightweight aggregates for concrete masonry based in Atlanta GA. Speck has more than 30 years experience in the masonry industry, including structural design, materials testing and masonry promotion. 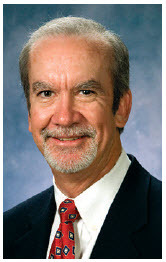 A registered professional engineer and a Fellow of the American Concrete Institute, he is also an active member of ASTM Committees C12, C15 and is a recipient of ASTM’s Award of Merit, which includes the designation of Fellow. Speck serves on the Board of Directors and the Executive Committee of the NCMA and is the chairman of NCMA’s Masonry Codes and Standards Task Group and Associate Member Division Board. He is a past Board Chairman of the Expanded Shale Clay and Slate Institute. Speck earned his BS and MS in Civil Engineering from Michigan State University.